Oreti Beach and sand dunes at Waimatuku Stream mouth, between Invercargill and Riverton. The Bluff hill right distance. 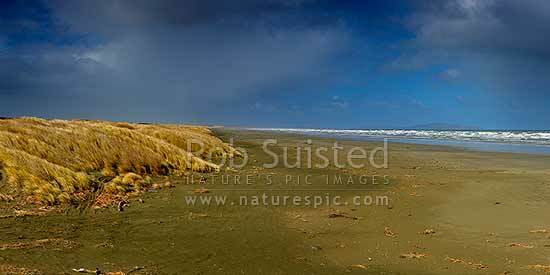 Panorama, Oreti Beach, Southland District, Southland Region, New Zealand (NZ), stock photo.